• Degree in mechanical engineering, manufacturing engineering or similar discipline. • 3-6 years’ experience in a manufacturing environment (high volume automated assembly experience would be an advantage as would medical device manufacturing experience). • Travel as necessary to support equipment buy-offs and training at vendor / customer sites. • Support design, buy-off, installation and validation of automated production lines. • Process Characterisation / Optimisation (DFMEA’s, PFMEA’s DOE’s etc.). • Lead systematic technical root cause investigations. • Support production line ramp to achieve mature production targets. • Drive continuous improvement projects. • Manage assigned project budgets, liaise with Customers, contractors as required. • Support all company safety and quality programs and initiatives. • Ensure ongoing compliance with GMP in all practices, recording of events and processes. • Ensure compliance with all learnings from GMP training events. • Other responsibilities may be assigned from time to time as needed, based on the evolution of the company and the requirements of the department/position. 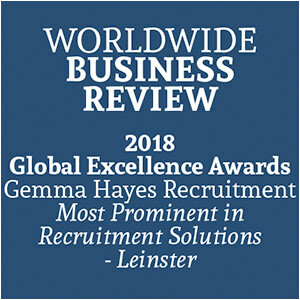 • Excellent organisation, communication, computer and presentation skills. • Strong leadership of technical issue resolution. • Lean Six Sigma skills an advantage. • Provide innovative solutions to complex problems. • Good data analysis skills. • Proficient in MS Office applications, MS Project.